IS IT possible to combine work, family life, pleasure, education, exercise, support for animal conservation and support for the local community all in one day out? It is in Kenya. Recently, BATUK (British Army Training Unit Kenya) was invited to play a game of cricket against the Kenyan Maasai Cricket Warriors. The match was held at the 90,000-acre Ol Pejeta Conservancy. As the players were setting up for the match and the families were setting up the chairs, toys and picnics, elephants and giraffes were wandering past in the nearby tree line. 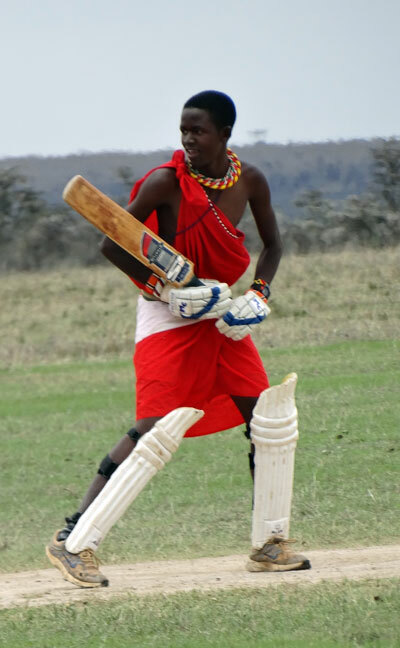 Cricket was introduced to the Maasai in 2009 and this team are known for using the sport to raise awareness of HIV/AIDS, women’s issues and poaching for the improvement of the Maa community and the nation of Kenya.